Julian Rademeyer, author of Killing for Profit: Exposing the Illegal Rhino Horn Trade, is in London for the Marjan-Marsh Award prize-giving. Rademeyer is being presented with the award tonight, in the War Studies Meeting Room on the King’s College London Strand Campus. The Marjan-Marsh Award, which acknowledges contributions to conservation in conflict, is being bestowed on Rademeyer for his work on Killing for Profit. 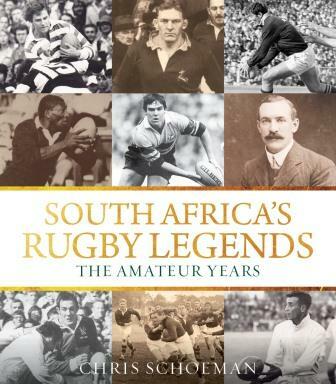 Mackenzie Weinger wrote an article for The South African about Rademeyer’s award-winning book. 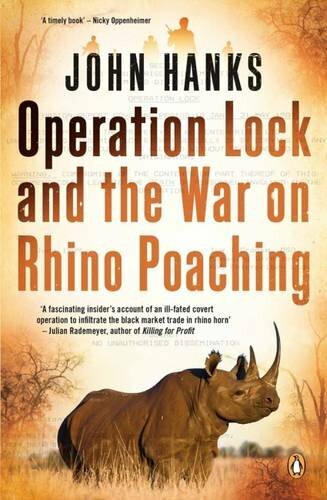 Rademeyer left his job as an investigative reporter and spent two years researching the rhino crisis, interviewing poachers, criminals, game rangers and politicians in order to deliver this in-depth account of illegal trade in rhino horns. Julian Rademeyer has won the Marjan-Marsh Award, bestowed by the Marjan Centre for the Study of Conflict and Conservation in the prestigious Department of War Studies at King’s College, London, for his book Killing for Profit: Exposing the Illegal Rhino Horn Trade. This Marjan-Marsh Award is given annually to someone who has made an invaluable contribution in an field where conflict and conservation interact. The Marjan Centre is a research group based in the Department of War Studies at King’s College, London, and is supported by an advisory panel of experts that includes Dame Jane Goodall. The Marsh Christian Trust was started in 1981 by businessman Brian Marsh to honour “unsung heroes”, and hands out a number of awards across areas including conservation, the arts, heritage and social welfare. In Killing for Profit, Rademeyer set out to uncover the workings of the illegal trade in rhino horn and expose the people and syndicates carrying out the activity. His work was often dangerous, but has proved important and valuable: the book has made ordinary people more aware of the rhino-poaching problem in South Africa, and Rademeyer’s top-quality investagative journalism has put uncomfortable pressure on criminals conducting illegal trade. 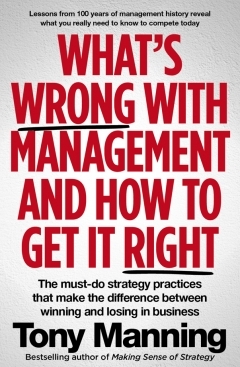 Recently Hugo Ras, who Rademeyer writes about in his book, was arrested, along with nine of his associates. It is no overstatement to say that the publication in 2012 of the book ‘Killing for Profit: Exposing the Illegal Rhino Horn Trade’ was a transformational piece of investigative journalism. The author, Julian Rademeyer, South African born and resident, risked his own life, after being threatened by traffickers in both South Africa and Laos, to uncover the murky world of the illegal rhino horn market that previously had been shrouded in rumour, myth, fact and fiction. 2014 is the third year that the Marjan-Marsh Award has been given to a person for making an outstanding contribution to conservation in areas of conflict; it is supported by the Marsh Christian Trust in conjunction with the Marjan Centre for the Study of Conflict and Conservation within the Department of War Studies at King’s College, London. In giving the Marjan-Marsh Award to Julian Rademeyer the elements of working in personal danger and insecure environments as well as overall impact, were especially noted. The award will be given to Julian on November 4th when he will also give a talk about the ‘rhino wars’ which will include observations about the latest situation: the talk is open to the general public and represents a unique chance to hear not only about one of the most high-profile and emotional issues in conservation today but also from the perspective of a knowledgeable ‘insider’. Venue: The War Studies Seminar Room, King’s College. Location: 6th floor. Main Strand campus. Time: 6pm; it is free and open to the public. · Arrive in Main Reception and continue down passage-way till you see lifts on the left. 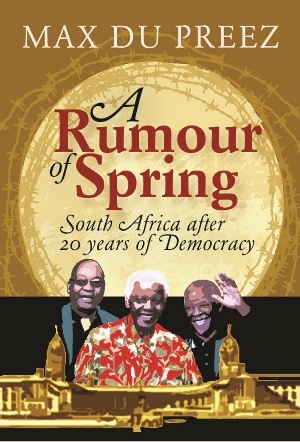 Max du Preez spoke to Jenny Crwys-Williams on the 702 Talk Radio Book Show about winning the 2014 Sunday Times Alan Paton Award for A Rumour of Spring: South Africa after 20 years of Democracy. Du Preez reiterated the point he made in his speech, which was that Karel Schoeman’s Portrait of a Slave Society was the deserving winner, but adds that he will “happily take the money and the prestige”. Du Preez also singled out Nik Rabinowitz’s MCing of the event for praise – “he’s not only funny, he’s really intelligent” – with Crwys-Williams adding that her favourite part of Rabinowitz’s commentary was his summary of the shortlisted Fiction Prize books (watch the video of that here). Random House Struik authors Max du Preez and Claire Robertson were announced as the winners of the 2014 Sunday Times Literary Awards at a gala event held at Summer Place in Johannesburg on Saturday evening. 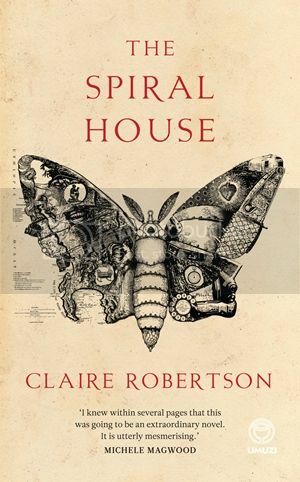 Robertson won the Fiction Prize for her novel The Spiral House, published by Umuzi, and Du Preez won the Alan Paton Award for his book A Rumour of Spring: South Africa after 20 Years of Democracy, published by Zebra Press. The Sunday Times Literary Awards, in association with Exclusive Books, mark their 25th anniversary this year. The Alan Paton Award is given for a work of non-fiction that promotes “the illumination of truthfulness, especially those forms of it which are new, delicate, unfashionable and fly in the face of power; compassion; elegance of writing; and intellectual and moral integrity”. The Fiction Prize is given for a “work of rare imagination and style, evocative, textured and a tale so compelling as to become an enduring landmark in contemporary fiction.” Both prizes are worth R75 000. 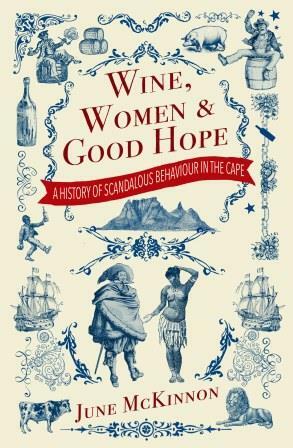 Max du Preez’s book was hailed as a “bracing, opinionated read, ‘vintage Max du Preez’. A nuanced and well-crafted work, casting a rigorous critical eye not only on the powers that be, but on ordinary citizens and the writer himself. This is the best of all the reflections on 20 years of democracy published last year.” by the Alan Paton judging panel. The Sunday Times shortlist for the Alan Paton Award and the Fiction Prize were announced at the Franschhoek Literary Festival on Saturday 18th of May. Random House Struik is pleased to announce that Killing for Profit by Julian Rademeyer and Rat Roads by Jacques Pauw were both shortlisted for the 2013 Alan Paton Award, both published under the Zebra Press imprint. Imraan Coovadia’s The Institute for Taxi Poetry (published by Umuzi) has been shortlisted for the 2013 Fiction Prize. Rat Roads is a searing story of hardship and survival, and an unforgettable tale of courage and triumph. In this extraordinary book, celebrated journalist Jacques Pauw gives a human face to some of the most tumultuous events in recent African history. In the world of Imraan Coovadia’s tragicomic novel, The Institute for Taxi Poetry, taxi companies thrive in a single-party state. Taxi poets are admired, sliding-door men rule, professors and politicians strut and fret and connive in a society shaped by violence and ambition, love, and the unsettling power of the imagination. Other 2013 Alan Paton shortlisted titles include: Biko: A Biography by Xolela Mangcu, The Last Afrikaner Leaders by Hermann Giliomee and Endings and Beginnings by Redi Tlhabi. Other 2013 Fiction prize shortlisted titles include: The Book of War by James Whyle, For the Mercy of Water by Karen Jayes, The Unlikely Genius of Dr Cuthbert Kambazuma by Chris Wadman, Entanglement by Steven Boykey Sidley. The winners will be announced at an awards ceremony on June 29th. Praise was heaped on double-amputee athlete Oscar Pistorius, aka “Blade Runner”, after he was awarded the 2012 Laureus World Sportsperson of the Year with Disability Award in a globally televised ceremony on Monday. Johannesburg – South Africa’s Oscar Pistorius, the athlete known as the ˜Blade Runner” because he runs on carbon fibre blades, was named as the winner of the 2012 Laureus World Sportsperson of the Year with a Disability Award on Monday. In 2011, Pistorius became the first amputee to win a non-disabled World Championship track medal, as a member of the South African silver-medal-winning 4x400m relay team, in Daegu, South Korea. Gideon Sam, president of the SA Sports Confederation and Olympic Committee, also expressed his satisfaction at seeing Pistorius win the award. He says Pistorius is a “key weapon” in South Africa’s battle to win even more medals at the Paralympics. South Africa’s Olympic boss lauded double amputee Oscar Pistorius on Tuesday after the Blade Runner scooped an accolade at the Laureus World Sports Awards. Gideon Sam, president of the SA Sports Confederation and Olympic Committee (Sascoc), said the country would rely on Pistorius to boost them up the medals’ table at the London Paralympic games in August. Random House Struik and Zebra Press are proud to announce that Andrew Brown has been shortlisted for the Commonwealth Writers’ Prize 2009 for Best Book in the Africa region for his novel, Refuge. “I am absolutely thrilled that Refuge has been short-listed for the Africa region of the Commonwealth fiction awards and I am humbled and honoured to be associated with the names of all the previously short-listed writers. My writing is ultimately motivated by the invigoration I feel at living in this extraordinary continent – so to be included amongst the writers that Africa has produced, and continues to produce, is recognition beyond my most imaginative dreams,” said Brown. The Commonwealth awards are aimed at promoting fiction that might otherwise not reach a wider audience, thereby increasing an appreciation of different cultures. Refuge is an attempt to address the seemingly ever-widening gap between locals and ‘foreigners’ within South Africa, and the concerning lack for appreciation that we display for the culture of others. It is my hope that the book will in some small way cause those who read it to reconsider their attitude towards the displaced and desperate bodies that inhabit the stairwells and alleyways around them” says Andrew Brown. Refuge will now go through to the next phase of the competition, where the Africa regional judging panel will meet to decide the two regional Commonwealth winners for Best Book and Best First Book. The regional winners will be announced at an event on 11 March in Johannesburg, South Africa. Andrew Brown won the Sunday Times 2006 Fiction Prize for Coldsleep Lullaby and was shortlisted for the 2009 Alan Paton Award for Street Blues. As the countdown begins to the 2009 Sunday Times Literary Awards in Johannesburg on August 1, we look at two of the shortlisted writers. Tymon Smith spoke to Andrew Brown, who wrote Street Blues to shatter popular misconceptions about the police. This is your first work of non-fiction. Why did you decide to write about your experiences as a police reservist? 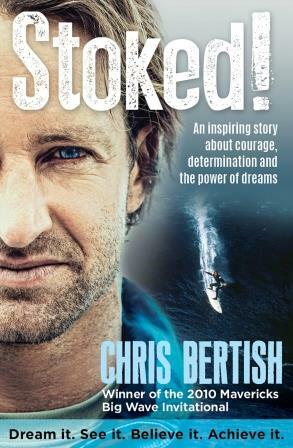 There were a number of motivations for writing the book. I had already started writing down some of my experiences — not to publish them, but to help me work through some of the traumas that I was exposed to while working with the police. After Coldsleep Lullaby did so well and won the Sunday Times Fiction Prize, I actually felt quite intimidated at the idea of writing again — I hadn’t until then thought of myself as a writer and so I wrote without any pressure, simply for the enjoyment of it. After the award, it suddenly felt that there were expectations of me and I thought that writing about my own experiences — where I didn’t need to make up the characters or the stories — would be an easy way to get over my anxiety. But a strong motivation was also to try and debunk some of the stereotypes about the police force (many of which I held myself before joining). My 10 years as a reservist have changed the way I see the police; I have enormous respect and fondness for them. What inspired you to join the reservists? I had been involved in the UDF in the ’80s and this had given me a real sense that I was contributing towards the community. After 1990, my involvement fell away as I am not a political animal and I couldn’t see myself working in the ANC. I then read an article about my local police station (Mowbray) and how it was battling with a lack of vehicles. I offered to assist, although joining the reservists was the last thing on my mind — my experiences in the ’80s had left me with a huge distrust of the police and I viewed them as dangerous, even in the ’90s. But then a particularly committed inspector, who was the head of the reservists, slowly cajoled me into accepting the idea.